Add form styles at Edit Form → Settings → Style → Global at the bottom click Add global style. 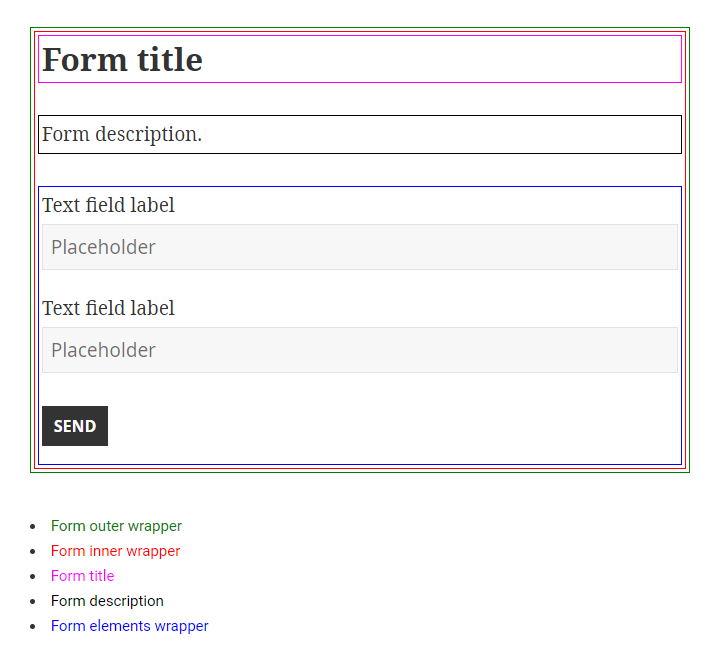 See the reference below for which style selector applies to which part of the form. It’s also possible to set the element styles here, they will apply to the element parts shown in the Element styles section below for every element in the form. 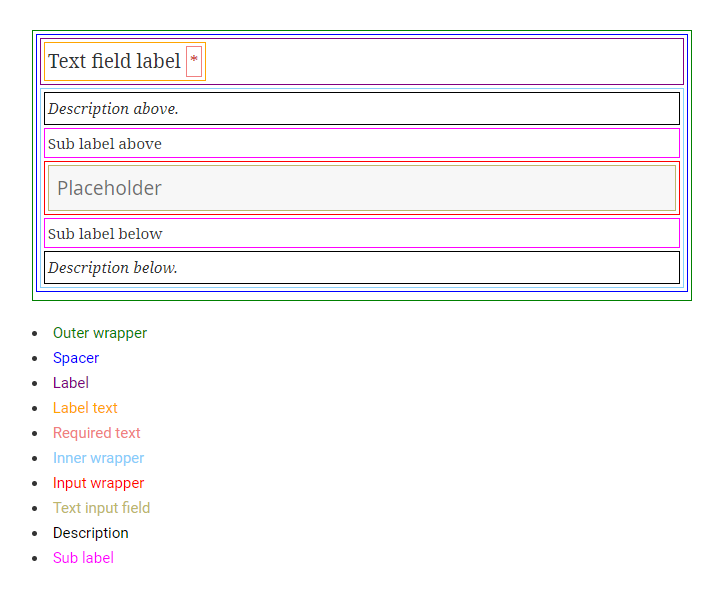 Add per-element styles in the element settings, on the Styles tab at the bottom click Add a style. See the reference below for which style selector applies to which part of the element.